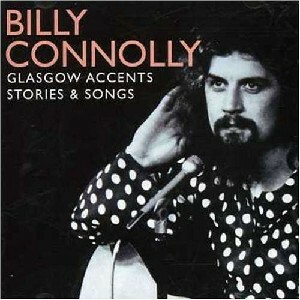 Glasgow Accents Stories, The Scottish Music Shop - The Best Selection of Scottish CDs and Scottish DVDs. Connolly classics from the early Seventies. Live audiences, great tuning, grand timing, plenty swearing! The Big Yin side-slips and caterwauls his way through social (and anti-social) history. And yes, this one has The Jobbie Wheecha on it.